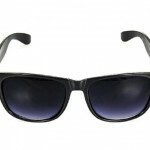 Unisex retro 80’s wayfarer sunglasses. Light weight black frame (1/3 carat). Cat 3 lens (for medium – strong sunlight) (1/3 carat). The Wayfarer sunglasses have been manufactured since 1952, when their design was a revolutionary break from the metal eyewear of the past. 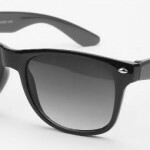 Wayfarers enjoyed early popularity in the 1950s and 1960s. Though the sunglasses had faded from the limelight by the 1970s, a lucrative 1982 product placement deal brought Wayfarers to their height of popularity. 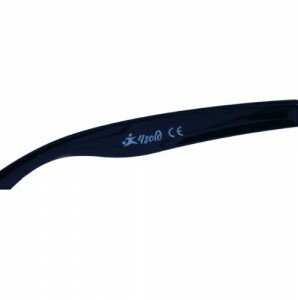 Since the mid-2000s, the sunglasses have been enjoying a revival. 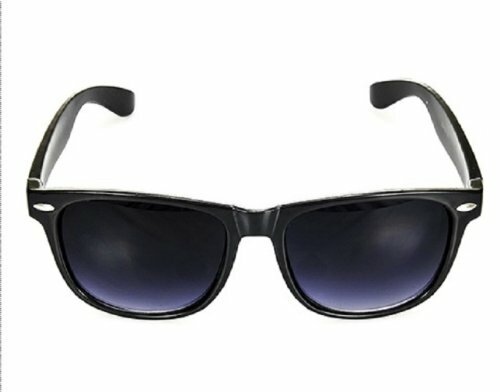 Wayfarers are sometimes cited as the best-selling design of sunglasses in history (although Aviators ) have also been credited with this achievement and have been called a classic of modern design and one of the most enduring fashion icons of the 20th century.